Education has been well defined as the third eye of a human, as it helps us to see the world from a completely different perspective. Thus, people these days are breaking the barriers and moving to other countries in order to acquire the best education in their field of interest. With this rising trend and considering the huge finances involved in studying abroad, choosing the right destination to pursue your higher studies is the most important as well as the most difficult decision. Though most of the countries have geared up their education system in order to compete with other countries and attract more and more international students, let’s see what makes Canada the best destination to acquire quality education. There is no denying the fact that studying abroad is an expensive affair. While you are acquiring education, the country also provides you the advantage of working for 20 hours per week during your school and 30 hours per week during scheduled vacations which can help you manage your miscellaneous expenses and gain some valuable exposure of the job market. After completing your education, the country also offers you the privilege of post-study work, under which you can work in Canada for some time and gain some valuable on-hand practical exposure where you can sharpen your acquired skills and knowledge and be prepared to take a leap towards your professional career ahead. 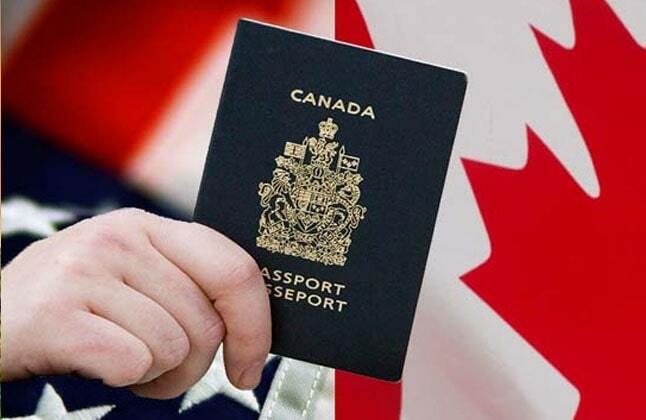 Safety is another integral factor to consider when it comes to studying in a foreign country and Canadian visa offers you an assurity that you are going to be safe and secure in the country. Canada has a privilege over other countries as it is pretty isolated in terms of location. It is protected on three sides by oceans, and only shares a border with the United States. The distance provides the country a safe boundary from international conflicts. Considering all the above mentioned facts, Canada is undoubtedly one of the best destinations to study abroad. With it’s diverse culture, the country also offers varied specialized course options to choose from. Visit your nearest Edwise International branch to avail assistance regarding choosing the best suited course and university for you. "Edwise has been really helpful from the time of my college/university selection to my entire Visa application. I have been really satisfied with my counselor. She was always reachable and available whenever I needed to contact her." "The experience with Edwise was very pleasant, the interaction was not at all hesitating, they were helpful whenever they were asked of any help and doubt. They kept me updated with all the procedures and changes." "Edwise has always been a source of information for me as of whenever I am stuck up. Edwise consultants are always ready to help me with my query. Overall experience with Edwise was very good and excellent. Keep it up!" "It was a great experience with Edwise. Special thanks to my counselor who kept constant follow ups on the tasks to be done. I had a lot of problems in arranging all the document and I think it would have not been possible to reach UK if my counselor had not kept her patience and helped me. I would also like to thank Agnelo my visa counselor for helping me in getting the visa with his proper guidance. I recommend you all to contact Edwise if you plan to study abroad. It’s the best place to visit for professional and right guidance." For complete information of Study Abroad in Canada, Contact Overseas Education Consultants, on 1-800-200-3678 (Toll Free) / 08600911333.